Ayco is a national leader in company-sponsored financial counseling programs. From entrepreneurs and pre-IPOs to the Fortune 1000, our experience with public and private compensation and benefits plans allows us to provide financial counseling in an ever-changing landscape. Ayco serves as an extension of the human resources and benefits team for over 400 corporations across America.† By partnering with these groups, we can positively impact corporate ROI through increased employee focus and engagement, reduction of reputational risk and employee absenteeism, and a better understanding and usage of benefit programs. 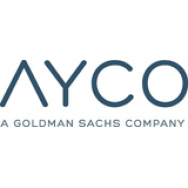 By working with over 13,000 executives‡ and delivering over 130,000 phone coaching sessions‡, Ayco can tailor financial counseling to employees of every career stage, from entry-level to c-suite. Our unique approach combines benefits and compensation planning with streamlined digital solutions to provide a path to financial well-being for everyone at an organization. ‡Average annual phone coaching sessions based on 2012–2016 data.